Future of InAEA (for future InAEA discussions at the monthly meetings, the first Wednesday of each month 7am SL time. The next one will be Wed., Feb. 3, 8 a.m. SL time. We could have an official t-shirt design contest. It is exciting to see that we can wrap clothing as skins. 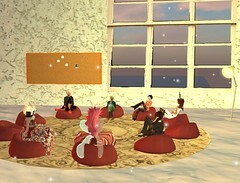 Discussion topic suggestion: Explore identity construction: Why do you appear as we do in SL? How is your avatar as projection of self? While we create identity, and have identity inscribed all the time it is more obvious it SL. Conducting research in Second Life. From the monthly InAEA meetings in Second Life develop a series of co-authored related articles posted on the web: http://www.inaea.org Find the artworks in SL, interview artists, and discuss at InAEA meeting. Fieldtrip Suggestions: 1. Art Box, 2. Macbeth Island Provide a focus question to consider as we travel to some place--such as what questions are important to ask from what perspective of the site? Networking is number one idea and exploring identities. To connect when we are at a physical distance from each other. Work with people from different countries and cultural backgrounds in SL. 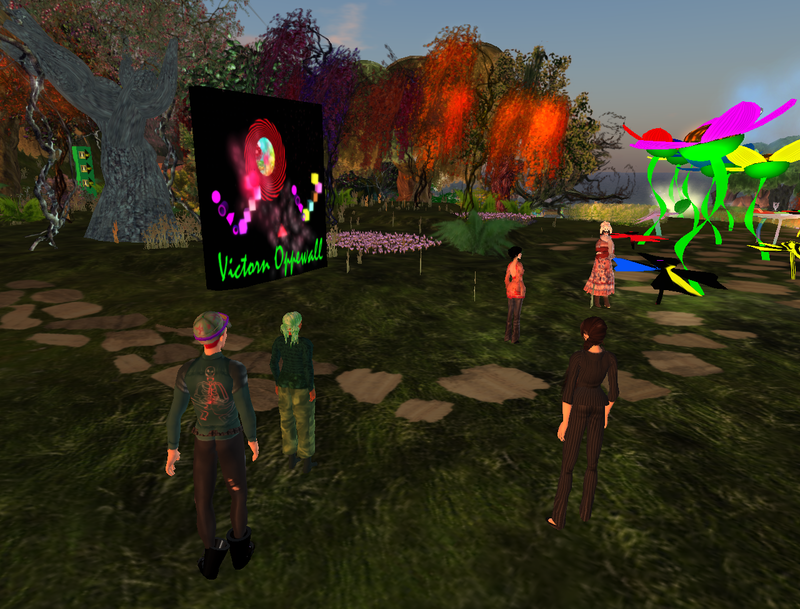 Use of virtual worlds as a new medium for art. Host lectures without anyone leaving home. Building--if you can make it on Second LIfe, you can do it in real life. Can you do it in real life--such as visualizing something or trying something can help RL endeavors? Building in SL is more fun than in RL. Implications for performance arts are incredible. 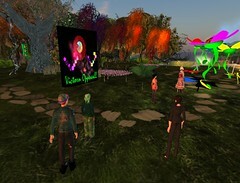 Second Life is fantastic for those experiencing disabilities and nonprofits. Travel in SL—new vistas, new ideas, new experiences.